One of my bucket list travel dreams, realized. In the summer of 2014, I was lucky to travel on a mission trip to Israel. One of the most exciting parts about the trip was, without a doubt, my visit to the Dead Sea. I had always heard of The Dead Sea's salty water that can keep anyone—of any size—afloat, and mud so rich in minerals, that people travel across the globe just to coat their skin in it from head to toe. However, learning about the health benefits of the sea did come as a surprise. A few local Israelis broke down the science. According to the locals, the mud is highly detoxifying. And with a high content of magnesium, calcium, and potassium, it is known to kill bacteria, treat acne, boost circulation, and relieve muscle aches (it’s no wonder there are so many face and body products that contain Dead Sea mud). The Dead Sea is known as a hypersaline lake, and has a salinity of 34%. This high content of salt has similar detoxifying effects on the body as the mud. The water tones and purifies the skin and soothes muscles tension. Additionally, its high amount of nutrients offers a boost of hydration. When I covered my body with the mud (including my face and hair), I experienced a burning sensation. However, I was partially sunburned at the time, which did not react well with the strong detoxifying effects of the mud. If you are sunburned, or have sensitive skin, first try a patch test by applying the mud to a small spot on your arm to see how your skin reacts. Allow the mud to sit for approximately 10 minutes before covering your entire body. Rinse with cool water if you notice any irritation. To my surprise, the water was far milder. Despite its high salt content, it did not burn my skin anything like the mud. Rather, kicking my feet up and floating in the sea, was much like a spa treatment. I left feeling refreshed and at ease, and for the rest of the day, my skin and hair felt noticeably softer and cleaner. Thankfully, you don’t have to travel to Israel to reap the benefits of the Israeli oasis. Scroll through the products below, which contain real Dead Sea mud and salt water. This is much more than your average moisturizer. It is a silky emulsion made from a combination of Dead Sea minerals, water, and mud to moisturize, control oil, and prevent aging. From the brand that is likely most known for its use of Dead Sea minerals, this lotion incorporates aloe vera extract and witch hazel for a soothing, refreshing effect. This scrub rejuvenates and exfoliates skin, removes dead skin cells, and improves circulation. It is made from Dead Sea salt and aromatic oils to exfoliate and soften the skin. This mud leave-in product mimics applying pure Dead Sea mud to the hair to repair and restore it. 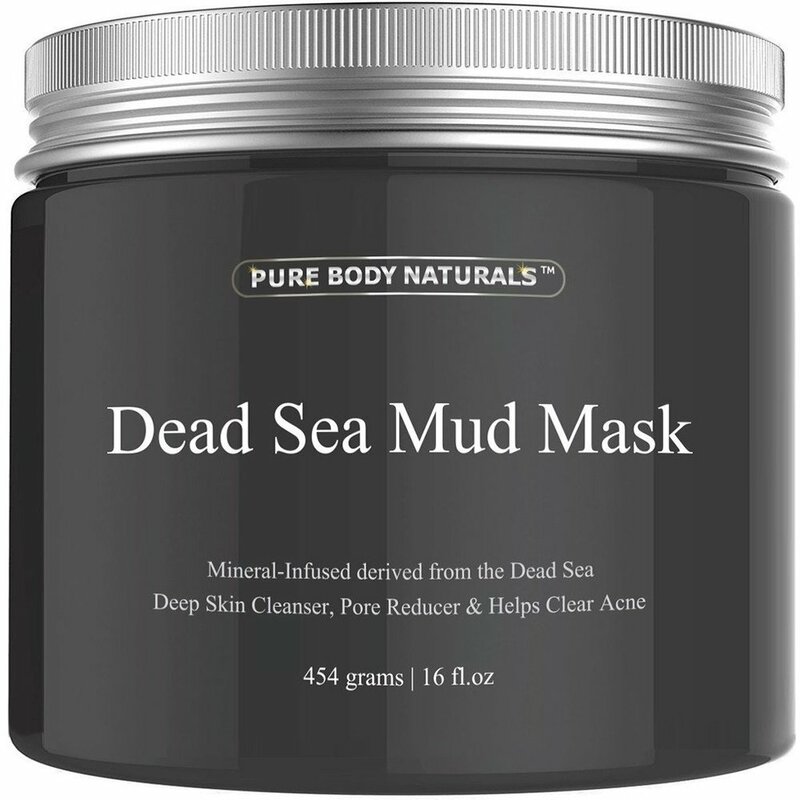 It blends 26 Dead Sea minerals, along with rosemary, keratin, and Vitamin E.
This Dead Sea mineral-infused mud mask is formulated to reduce pores, clear acne, and give the skin a deep cleanse. It also stimulates circulation and removes dead skin cells.